Where – Church of Scientology Community Centre, 231-251 Alexander Road, Ascotvale. 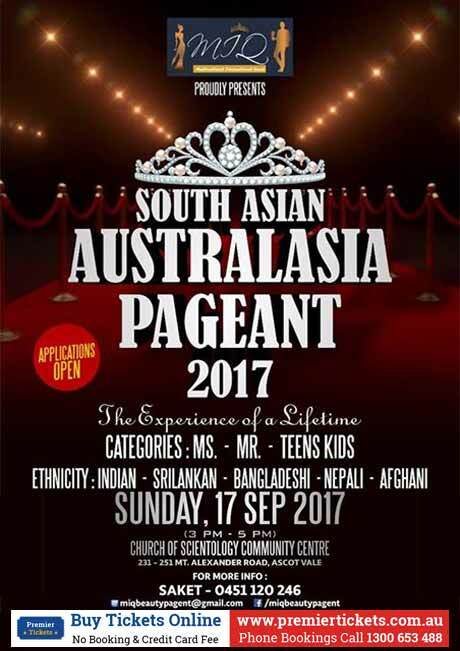 This event is a Personality and Community based Multicultural glamour Contest . There will be various sections to the contest. People from various communities and countries will be taking part in order to celebrate Multiculturism in Australia. People holding this ticket will be entitled to attend ‘Meet and Greet’ private party with the contestants before the event. Fine Canapes, cup cakes, finger foods and soft drinks will be served.